As an avid outdoorsman, I had been looking forward to this moment for my entire life. 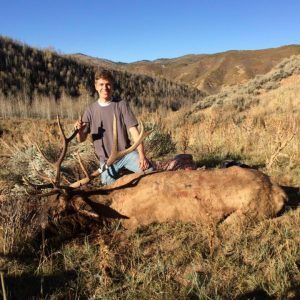 I looked through my scope, put the crosshairs on the elk, pulled the trigger, and missed. Years of preparation had just gone to waste as I watched the elk run away. Then the alarm went off, letting me know that it was time to stop stressing and start hunting. I went out with my brothers, determined that the dream would not become a reality, and just like that we found a huge elk, grazing on the hill in front of us. I knelt down, looked through the scope, and couldn’t spot him. My glasses were fogging up, so I threw them to the side just in time to find the elk. I settled down, took the shot, and was amazed to see that it was a success! I celebrated for a moment with my brothers and then raced up to where the elk was. Immediately after we had determined that it was dead, I was bombarded with questions that I had given little thought towards. “Are you going to keep the hide?” “What kind of mount are you going with?” Those questions were easy. “What are you going to do with the elk’s ivories?” This one was much more difficult. What was I going to do with the two elk teeth that most people don’t even know exist? Make an elk tooth ring? I got tons of steaks and burgers out of this guy, but what was I going to do with my elk’s teeth? Let’s Make Some Elk Tooth Jewelry! These elk teeth are literally made out of ivory, thus why many people call them elk ivories. There are some companies that have elk teeth for sale for up to $26 a tooth, so I could have sold them, but instead I decided to store them until I could find a good use for them. I did some research, and went through a shopping list of possibilities. I could make elk teeth earrings for my wife. Her response when I asked her if she’d want some made it pretty clear that she didn’t want them. I could try to create elk tooth jewelry. I have no idea how to do that, nor do I have the desire to learn how to do so. An elk tooth necklace could be a great gift to give to my mom for Mother’s Day, but she prefers the ivory on a piano versus an elk ivory necklace hanging from her neck. The best option, I decided, was to get an elk ivory ring. But I didn’t want a cheap looking ring with a tooth sticking out of it. I wanted a beautiful ring that was also in my price range. Enter Steadman’s Fine Jewelry. 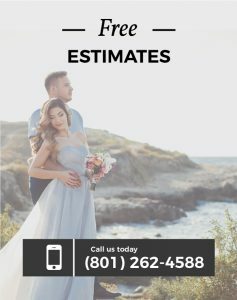 These guys have beautiful designs so that you can go around bragging about your custom designed elk ivory ring. 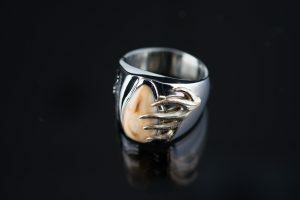 But don’t forget that elk have two ivories – maybe your dad will want a nice elk tooth ring for Father’s Day! Just look at this beautiful thing! Who wouldn’t want to wear it? 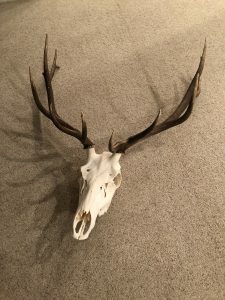 The biggest lesson that I learned from shooting my elk is that although I may think that the hide and mount are beautiful, my wife doesn’t want anything to do with them. I am very proud of the hard work that I put into shooting that elk, but my hide is sitting at my parent’s cabin, and my mount is sitting in storage. But at least I will always have the ring as a reminder that the missed shot was just a dream. Hopefully some day this will be hanging on a wall, and not sitting in storage.